MEGA Brain: Take a Walk on the Wild Side… Inside a Brain! Ever wondered exactly how addiction and other diseases affect the brain? Now’s your chance to get a first hand look! Early County Family Connection’s GENRx project presents: MEGA Brain, the world’s first traveling, walk-through brain exhibit. This larger-than-life, anatomically accurate, 20-foot long “brain” teaches visitors about the parts and processes of the brain including the effects of addiction, stroke, brain trauma, depression, disease and even features a clot retrieval device! Visitors who step inside MEGA Brain are wowed as they wander through the interactive exhibit to learn how the brain works from the inside out. 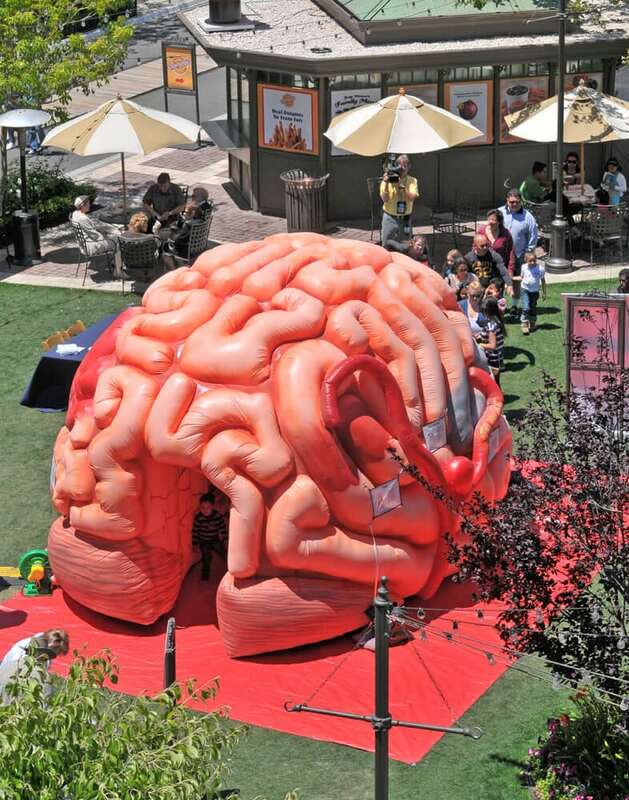 This inflatable, walk-through exhibit teaches guests how to keep their brains healthy and explains the latest medical treatments for brain trauma and disease. Visitors will come to understand the science behind many conditions from addiction and depression to Parkinson’s Disease and headaches. Don’t miss your chance to see the exhibit garnering rave reviews from Dr. Oz, the hosts of the The Doctors, Rachel Ray, and many others. The MEGA Brain exhibit is free and open to the public, and will be held Wednesday, October 25th from 8am – 6:30pm at the Early County Middle School Practice Field.